The United States has a long history of successful uranium exploration and mine production and dominated world mining and milling until the 1970’s. As a result of this historic exploration the geology of the uranium belts within the United States, in particular the Grants Mineral Belt which hosted the most significant United States uranium deposits, is relatively well understood. This means that there is a comprehensive data base available which in turn allows explorers such as Uranium King to more quickly advance their exploration efforts. This history of successful exploration, coupled with the increase in the uranium prices over the past few years will likely result in the generation of many Brownfield’s targets. In the case of uranium, these can be previous discoveries of lower grade material which now, because of higher uranium prices, have the potential to be economic deposits. At the same time, advancements in exploration techniques and general geological knowledge will allow new targets to be generated in belts with a long history of commercial discoveries. So, whilst uranium exploration is a high risk undertaking with no guarantee of success, for companies such as Uranium King the odds can be shortened to a certain degree by focusing on countries such as the United States where there is strong history of commercial uranium discoveries. But potential exploration success is only part of the story and the best discovery in the world is of little use if government will not allow the deposit to be developed. In this regard, current United States government initiatives make uranium an attractive commodity to explore for within that country. Over the past few years for example, the Bush administration has made a number of policy statements which have elevated uranium’s status to that of an important energy source for the future. These statements include the Energy Bill of 2005 which provides loan incentives, producer credits and federal risk insurance for builders of new nuclear power plants, the launch of the Nuclear Power 2010 Initiative in which the Unite States government will partner industry in the construction of new power plants, and proposed legislation to assist in the completion of additional nuclear repositories within the United States. Further, the recent announcement by the United States and Russia at the G8 conference in St Petersburg that they would not be renewing the Highly Enriched Uranium Agreement is likely to influence the supply and demand pressures for uranium within the United States. This agreement had allowed the United States to purchase, at a significant discount to market prices, reactor grade uranium from Russia. This Russian sources uranium had provided up to 50% of all United States reactor fuel. 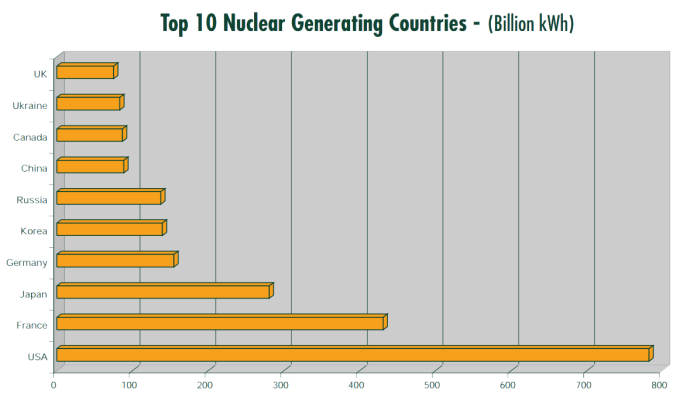 Currently nuclear power contributes 20% of the United States electricity generation and the Bush administration has an objective to increase the importance of alternate fuel sources, such as uranium to not only reduce greenhouse emissions but to also reduce the dependence of the United States on fossil fuels, much of which is imported. With an estimated 14 reactors under application or consideration within the United States out of a global 130 such initiatives could provide the necessary impetus to maintain uranium prices at attractive levels. At the same time the potential for a significant increase in demand for uranium within the United States could prove beneficial to Uranium King, should we be successful and move to producer status.